Edgar Allan Poe’s classic tale gets a reboot in this fourth game in the well-loved Dark Tales series. You and your detective companion Dupin have been summoned to the seashore to help William LeGrand discover the exact location of a treasure lost hundreds of years ago. But LeGrand isn’t the only one with designs on the pirate booty… A masked villain tries to make off with the code, and a mysterious woman in a veil seems to be connected. Follow the clues – with the help of the superior sniffing abilities of your Newfoundland sidekick – to track down the treasure and foil the criminal’s plans. 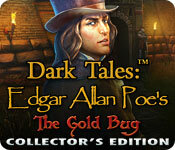 Dark Tales: Edgar Allan Poe's The Gold Bug Collector's Edition is rated 3.8 out of 5 by 114. Rated 5 out of 5 by bloom2diaspro from GREAT GAME!!! I really enjoyed this game it's a really fun (and a bit creepy) but still i liked it. great HOG game but still it gets a little bit boring at the end but i still recommend this game!! Rated 5 out of 5 by clynnpayne from Dark Tales: Edgar Allan Poe's The Gold Bug Collector's Edition I really loved this game. The graphics and game play were awsome. So glad they finally put a hint button on their game. Very long game play, which is great. Bring on the next one. Rated 5 out of 5 by pawsgame from Thank you for a great game without the horror This was a very fun if not real challenging game. It did have lots of fun puzzles and a really great story line. I LOVED the Newfie dog helper. Thank you so much for a really good game without all the blood, guts and horror aspect. The bonus games was worth buying the CE version. Rated 5 out of 5 by DRAGONWYN from Another POE hit! Love the other Poe games and this one will be another favorite. I've read many of his stories but I'm not familar with this one so I'm looking forward to exploring the game without comparing to the written story. Graphics are beautiful and lots of HO's to enjoy. I usually write a longer review but this one is short and sweet. LOVE IT! Rated 5 out of 5 by SolarEclipse from Good game, but there's room for improvement!!! I liked the game and the idea of a treasure hunt. But the locations and the graphics kind of sucked all of the life out of the concept. Unfortunately, I played “The Gold Bug” after having played other ERS games like “Spirits of Mystery: The Dark Minotaur,” “Reality Show: Fatal Shot,” and “Phantasmat: Crucible Peak.” And honestly, it just seems like ERS got tired when it came to “The Gold Bug” and wanted to work on their other games. I’m not sure where this game was in their overall development process, but it definitely didn’t get the star treatment that the others did. It just seems like they were more excited and into the other games that I played prior to this one. I liked the character LeGrand, he was comical. And Dupin was great, but I actually think he needs his own game. I like the idea of him as a detective and I think he would flourish if ERS took the character and did an original mystery or detective story with him. I think it’s difficult when you’re adapting a literary work because the characters are somewhat limited by the original text. And I loved the dog Arthur and how he would bark and sniff out objects that you gave to him. However, I sense there is more potential. It would be nice to take Dupin and make LeGrand his partner and keep Arthur as their assistant and just give them their own unique landscape and game to explore. Dupin is just so dazzling and distinguished. I could see Dupin and LeGrand paired in sort of a Sherlock Holmes and Watson kind of way plus the dog. I’m not sure if this concept is in any of Poe’s writings. If not, it would be at least worth tossing the idea around. The hidden objects scenes were good and clear. And there were a few of ERS’s newer kind included. But it just didn’t quite feel like a treasure hunt. It kind of lacked that real diehard adventure that people kind of associate with the concept. The idea of finding a pirate treasure is always interesting, but the premise was kind of trapped in a typical “Dark Tales” fashion. The game just lacked the “Wow!” that some of their others had. But it was good for what it was. Overall, I liked it and it was worth playing. But it didn’t have the urgency or immediacy that the other games that I mentioned did. But if you’ve played the other “Dark Tales” games, then it’s at least worth solving one more mystery with Dupin. Rated 5 out of 5 by Gyongy from Dark Tales are excellent Loved this new installment of Dark Tales, as usual it was beautifully drown and animated and fun to play. Looking for more. Rated 5 out of 5 by mephistopholes from Fun HO game This game from the ERS stable provided me with several hours of entertainment.I played in casual mode. There are two types of HO scenes, traditional list and outline-logic. Mini games aren't too difficult and can be skipped if the brain is on strike. Music not intrusive and voiceovers and cutscenes worth a look. Rated 5 out of 5 by cuorips from an excellent game. I have been so disappointed lately with the games , I was very happy to find this one ! Rated 5 out of 5 by Smileyface38 from Fantastic Gold Bug!! I was waiting for this game to come out for a while. I played the beta game a few months ago and absolutely enjoyed it. The length of the game was appropriately long. 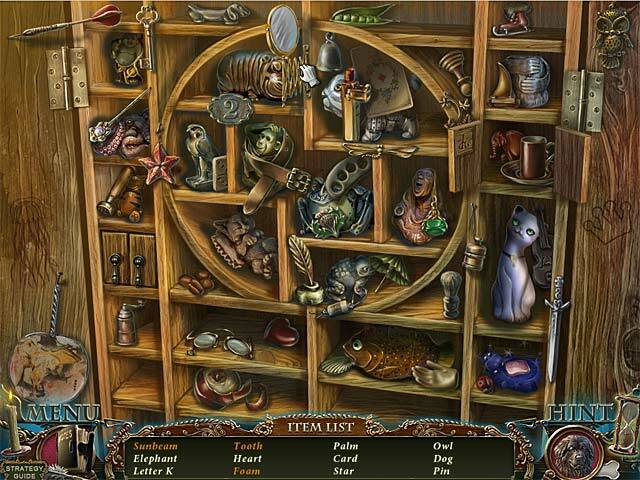 The hidden object games were fun and puzzles of various types was a welcome. The artistry is absolutely beautiful and creative. Thank you ERS folks for another great game. Rated 5 out of 5 by biomix from Excellent as a Standard Edition Excellent game but not as a CE. The Bonus game play was only an hour long. And as others have mentioned there were no 'morphing objects, no achievements, nothing to collect', etc., things I have come to expect in a CE. I could kick myself for not waiting. I usually do. But other than that, this game is AWESOME. I totally recommend you buy the SE version. 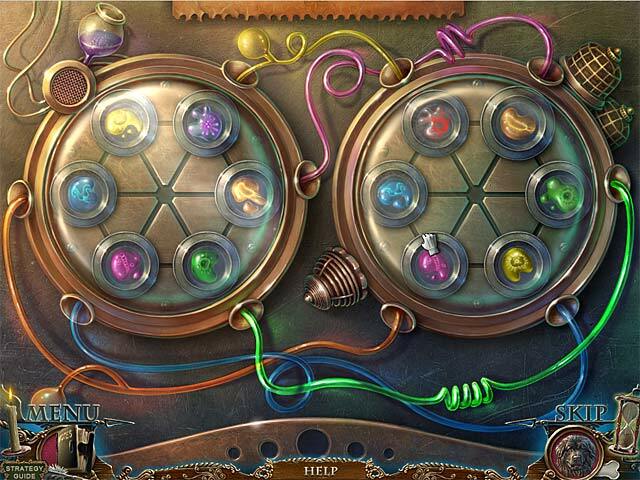 The Hidden object scenes are so fun and so are the puzzles. Great game!!!! Rated 5 out of 5 by southerngamers from AWESOME HO GAME This game had everything! Great storyline, good characters, great graphics and it was just pure fun. I tried the DEMO and now I have to buy it. The hour they give you for the DEMO flys by. This is definitely a keeper. Thanks Big Fish! Rated 5 out of 5 by lucyrn99 from well done HO game i usually find hidden object games to be boring, but this one offered enough variety to hold my interest. i didn't have the music enabled so won't give feedback about that, but the graphics and sound effects are high quality. finding the correct items to use took adequate time and patience (i played the demo in the easiest mode#. it was neither too challenging, nor frustrating. i won't be buying this game as i don't buy HO games in general #no replay value), but give it high marks for graphics, and for including a variety of mini games. Rated 5 out of 5 by biscuitsmama from Best of the Dark Tales I really think this is the best of the Dark Tales games to date. This developer does an awesome job with entertaining us and providing us with some of the best games available. IMHO, no other developer does animals quite as well and the wonderful "Newfie" won my heart very early on. 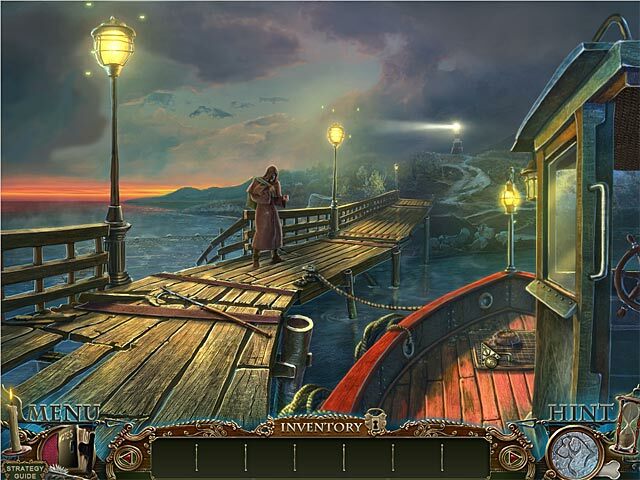 In this game we have many IHO (interactive hidden object) scenes, some are the standard look for objects but many are the silhouette type. We have been given some great puzzles as well. I really like that some mahjong and matching type puzzles have been included in the mix. Some of the puzzles are not as easy as they look. I like that even a few of the IHOS have mini puzzles included that must be solved before moving on. All in all, we have been given a very entertaining game with very nice graphics and excellent voice-overs. IMHO this developer designs very realistic characters who move well and don't seem choppy, which IMHO add to the quality of the game. Thanks ERS and BFG for a very nice game that I highly recommend. Rated 5 out of 5 by Texasartist from I loved it. Ok, I just played for an hour, but I liked the animated characters, the cute dog that becomes part of the hint process, and the logical series of steps between scenes. I am going to wait for the non collectors edition, but not because I don't really like this game. It was fun to play, had good art work, seemed very professional. Great Job! Rated 5 out of 5 by skborneman from The Bug Loved the game, was fun to have something different like this,Knew I was going to buy after I was so taken with the trial, great game and hope to play more of the Dark Tales. This also had a good story line, and loved the dog !! Just a fun game and held your interest till the end, love these types of games. Thanks for a great day of game playing. Rated 5 out of 5 by paulcindy45 from Hidden objedt game I Loved this game I have the other allen poe games and I love this one too I can't wait for another one to come out. Rated 5 out of 5 by Sheerija from REVIEW OF COMPLETED GAME I loved playing this game. The entertainment/fun factor is through the roof right from the start and it stays there all the way through. Dupin the beautiful is back and on top form. The graphics, as always with ERS, are top notch. There are just the right amount of iHOS, some lists, some silhouettes and the latter are highly interactive. Very well done and great fun. Only criticism I have is that a couple of them are repeated, and rather too soon after the first one. But only a couple, so the game loses no points for that, it's minor. The music is the traditional French accordian music. Good to listen to and a nice change from the usual dirges. As always, ERS puzzles are easy peasy, but that did not detract at all, for me. The v/os and cut scenes are excellent - they flow and are clickable. Then there is Arthur, who is great. Arthur is a huge black curly-haired hound lent to Dupin by LeGrand to help him and he travels along throughout the game. When a paw print appears over and inventory item, that item is placed on Arthur and he bounds into the game and uncovers something helpful for Dupin. Clever and endearing, that's Arthur. There are no spiders, snakes nor supernatural/occult themes in this. Again, a really nice change. In one scene I clicked on something hanging from the roof and Dupin himself stepped into the game and hooked it with his cane. It was startling because I have not seen this done before with people, only animals. I hoped for more of the same, but it was only a one off, unfortunately. Many will not buy this CE because it has no collectibles, achievements, map or wide screen, although you can do away with the black bars by adjusting your screen resolution to the 2nd from the top. What you get for the extra money is a SG and a BC. I cannot disagree with them that these things should be included, but it is ERS we are talking about and they simply just do not give us these things. Personally I could not care less. I only mention them for the newbies and folks who may not be familiar with these devs and are wondering if the game is worth the price. Up to the individual. The main game took me 4 hrs and ended as it should. So the SE will be quite adequate. The BC took 1 hr and I liked it. It took the story in a slightly different direction and kept up the standard of the main game. In the Extras you can replay puzzles and iHOS, there are 4 music tracks, although French music and I have only a passing acquaintance so they all sounded pretty much the same to me. Also, the usual wallpapers, art etc. 5 hrs of my life spent on this great game. Time well spent. An excellent addition to the series. May they never end. Thank you ERS, you just keep getting better. Rated 5 out of 5 by Ethereal924 from The Latest Addition To My Collection. I was infatuated with this game from the start. I was instantly charmed by my new eye-candy companion, Dupin. His help and comments were very welcome. The graphics were very appealing. The music fit the setting perfectly...making me want to book a trip to the French countryside. The rotating scene of Paris in the game cursor is a pleasant touch. The storyline appealed to the pirate fan in me : a friend is convinced he's found clues to Captain Kidd's treasure. Who is trying to stop him from finding it? I found the puzzles readily challenging. The HOS were also very intricate. I enjoy a good brain work-out. I appreciate games that include helpful animal companions. Early on, you end up with Arthur, the Newfoundland dog. He is able to help with clues and gives the experience a cozy touch. This is a must-have game for HOS/Puzzle/Adventure fan!! Rated 5 out of 5 by lpnatmu from Another winner If you liked all the other EAP games you will like this one too. I went straight to buying after verifying with 10 min of demo that it looks great. The opening "play/option" screen is misleading; thank goodness the real graphics and art were of the same great quality of the other games. The narrator's appearance has matured and the storyline is good. Recommend this C.E. plus all the other Poe games if you haven't tried them; well worth the discount being offered. Rated 5 out of 5 by Alfie333 from A joy to play. Loved this game. Graphics are awesome. Love the story line. Similar to that Depp version of this story.. Cannot wait to purchase this game. Very fast passed Hidden Object game. Rated 5 out of 5 by Nuffyb from Excellent Game! I played the entire demo. Couldn't believe when the time was up, I was so engrossed in playing! The HO's are not your typical HO's many are to just find one item instead of many items. I give this game a 10!! Rated 5 out of 5 by velvetmoon from Must have The game has great graphics,excellent hints. The games have clear instructions and not so hard they frustrate you.Variety of how you finish the games and variety on hidden object games. Totally fun! Rated 5 out of 5 by FlaMommy2 from The Golden Bug Is Creepy, Crawly Fun! ERS has put out another great game. As with previous Dark Tales: Edgar Allan Poe, Dupin as called for your skills as an inspector to help his friend who is obsessed with finding the treasure of Capt. Kidd. But, as to be expected, there are dangers along the way in the form of a masked man and a woman who always wears a veil. There is a mix of HO and placing items where they belong. The mini games were fun-not too challenging. The graphics were clean. The VO were well done. Even the bugs were nice to look at. And of course your new helper, a Newfoundland, is adorable. This is a great game and one well worth playing. So go a little "buggy" and give it a try. Rated 5 out of 5 by Macgari from Dark Tales The Golden Bug CE For me ERS Games are still the Best coice because they always work on all my Mac's suport Widescrenn. With others Devs like Elephant never be sure that suport your Mac. This Game start realy interesting, I like HO-Scenes but prefer Puzzles a lot more. This have a nice mix of Adventure and Investigation, Grafik is perfect, sound is typical ERS. If you like the other Dark Tale Games, you won't be disopointed. Rated 5 out of 5 by auggie1224 from Another Hit in the Series!! Just loved it!! Was so excited to see another Edgar Allan Poe game. I have never been disappointed in any of the games. I loved the addition of Arthur to help me through the adventure! As usual the graphics were great and the quality of the story very intriguing . Keep them coming please!! Rated 4 out of 5 by smoovasbutter from A step back I've played all other games in the Dark Tales series and I like most of them. I thought however this entry was nearer to the bottom of the list. Its not bad, just not great. Owing the story, we don't have the same macabre gothic creepiness that we've come to love from the other ERS games. At least Dupin isn't quite as annoying as usual but still manages to boss you around alot. Rated 4 out of 5 by silverink from Good game, but not the best in the Dark Tales series This was a solid game, with nice artwork and an ok story. The challenge was moderate. It is always disappointing that this developer does not create their games in widescreen. Although a fine game, and typical of ERS gameplay, it was not as good as I expected, overall. Maybe it is because when the Black Cat came out, there were not as many other similar games out there, but I remember really enjoying that one - it was certainly more of a dark tale, with beautiful artwork and a great story. This one, less so, although I suppose the game itself in this one was just as good. It just didn't have the same sense of mystery. Rated 4 out of 5 by isthisnametaken from DON’T GET WHAT YOU PAY FOR I LOVE the Edgar Allan Poe's games collection! I am sorry to I was not very pleased with “The Gold Bug Collector's Edition”. I completed the collector’s edition in about 2.5 hours, with taking breaks in between. Maybe I’m expecting too much but a CE should last longer than that. The story line is good and the graphics are beautiful! I would have enjoyed a bit more dialog in the game and the ending is so … short, confusing, unidentifiable, etc. I do recommend the game, just not at the CE price.